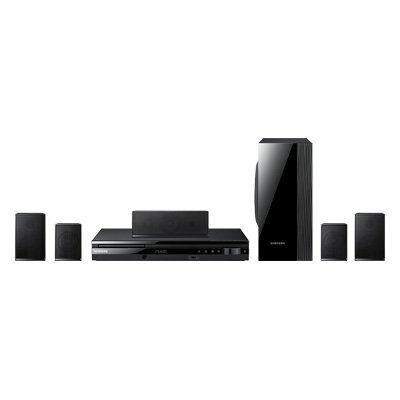 This is the summary of consumer reviews for Yamaha NS-SP1800BL 5.1-Channel Home Theater Speaker System. The BoolPool rating for this product is Excellent, with 4.50 stars, and the price range is $88.00-$199.95. Great sound for the buck. unreal sound for just over 100 bucks. Surprisingly good sound for smaller rooms. sounds great & is easy to set up. Sounds good, subwoofer good, directions bad. Was deliverd fast and sounds great. Great sound, great looking ....... exceeded my expectations based on the cost!!!. I'm not an audio expert but I think they sound great in my living room. sound for the opening battle scene was awesome . Yamaha does a good job . For the price you can't get better sound. Sub is powered and all the speakers look great. If your looking to get a lot of sound for a little money, buy it!. My original opinion stands: audiophiles look elsewhere, but everyone else: you can't go wrong with these (bought from Amazon). But if you're an audiophile, look somewhere else. It either sounds weak or extremely loud and distorted at high volumes. I've them with yamaha 463 receiver and they sound great. PROS - Price, quality of build, sound quality. This's a nice sounding setup for the price. Simple hook up and sounds decent for the price. Price to quality ratio is definitely unheard of. This package was perfect - great price, easy setup, and I've had no problems with either the workmanship or quality of the sound. 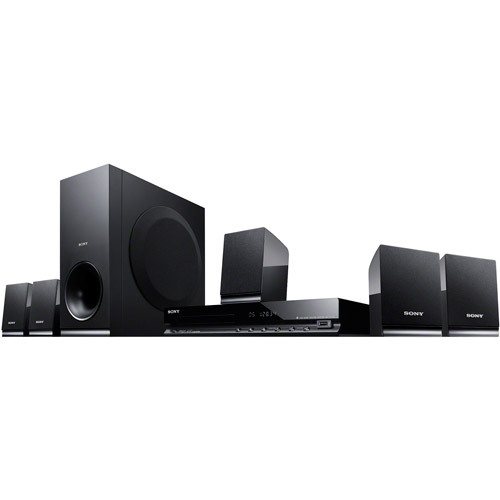 Take a close look at 28hz for this price and try to find comparable home theater package in this price range. Today I got the speaker and I was amazed abt the sound quality.I hv been an audio freak since a long time and I know which sound can be termed as a quality sound. The center channel itself delivers great quality sound but the volume isn't quite there. the Bass Sound is Deep and POWERFUL, so powerful that my windows were vibrating, and NOT loosing sound quality, and the satellite speakers sound sharp, crisp, clear! This's a great buy for the price.The sound is remarkable and powerful. The price is wonderful for people who aren't huge audio buffs but want to listen to music and movies with decent sound. It doesn't sound very good at high levels, the sound becomes muddy and the case sounds like it rattles to hard. The sound is overall great but the center speaker sounds so bland with dialog. 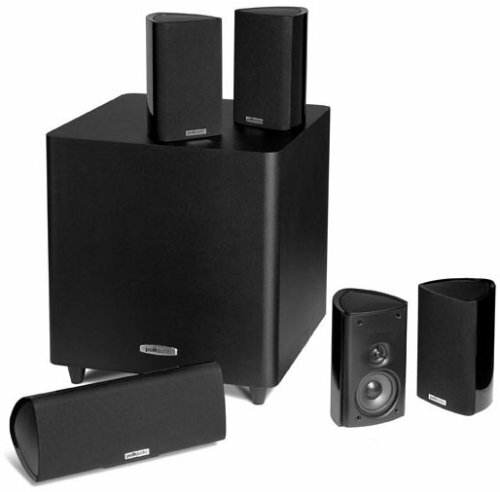 I was updating my surround sound system and purchased these to go along with an Onkyo receiver. If your looking for a mid level price to get high level sound this's the way to go. 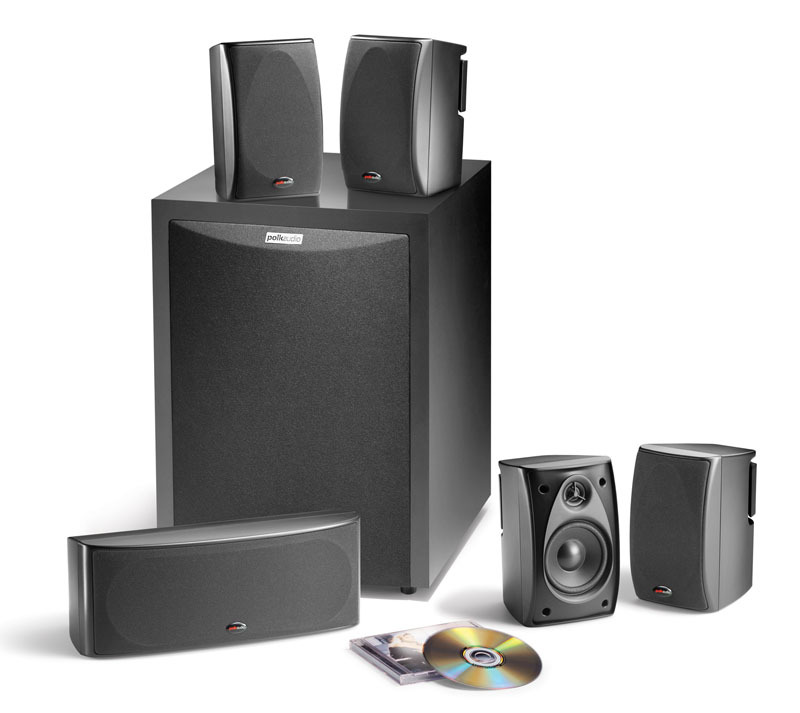 I recomend it to anyone looking to purchase a surround sound system. They sound great and the sub provides more than enough clean bass for a normal sized living room. 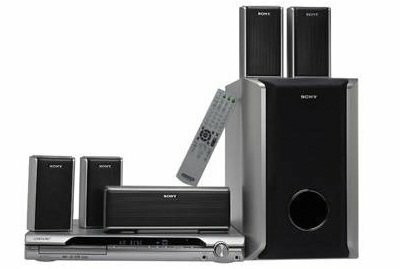 Those front, rear and center speakers sound nice but the sub in only OK. You can't find anything better in this price range. I was thinking "cheap sounding computer speaker set" when I envisioned the sound quality. 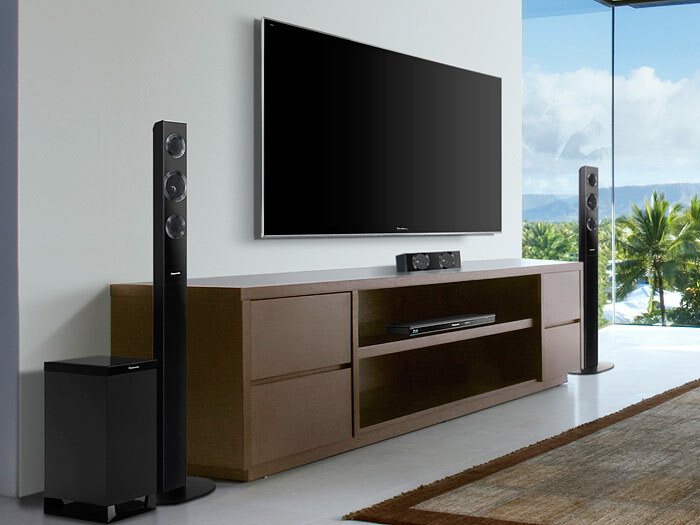 The satellites and center channel unit produce crisp, clear sound with reasonably mellow mid-range. They've very nice sound for sure. The sound quality is fairly comparable, but I prefer the more dispersed sound for rear speakers. My overall impression is that these speakers provide much better sound than one should expect for $120. While my floor speakers sound awesome, they just took up too much space, so I wanted something with good, crisp sound and deep bass. 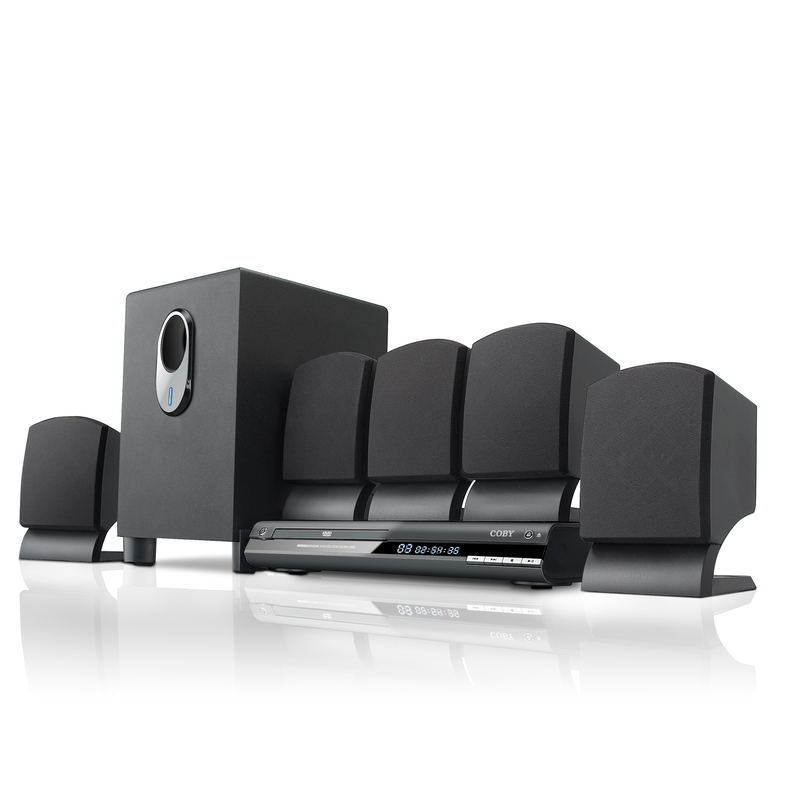 I highly recommend these to beginners in the world of surround sound. The included speaker wire is very thin, so plan to spend a few extra dollars for at least 16-gauge wire. But my friend was nice enough to joog me on an extra receiver and these speakers sound amazing. 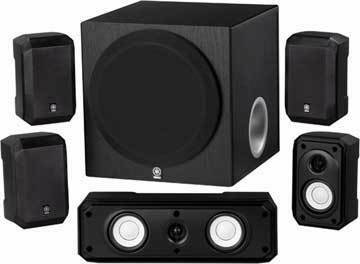 VERY easy to hook up, sounds great and for a good price. Despite the size (I'm from Texas), these speaker reproduce a lot of sound fidelity, clear and clean sound. 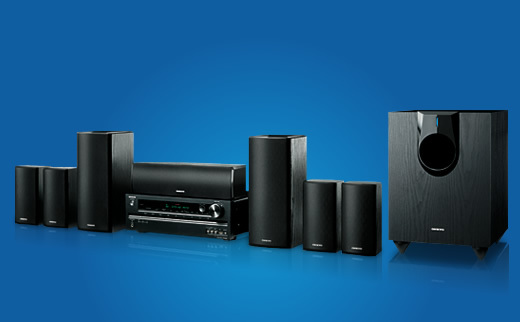 This's my first surround sound speaker system that I got to go with a new Yamaha RX-V371 receiver. The center channel is real nice and provides a much needed clearer sound than my sound bar could ever produce. You may want to buy higher gauge wires.